I was recently interviewed by a writer for No Depression, an internet music journal. We covered a lot of topics, including my latest album, Metamorphosis. The interview has now been published, and I hope that you find it interesting. 0 My latest album has gotten another good review! P.S. Please remember that you can listen to Metamorphosis for free on Spotify. If you want a CD, you can get one from CD Baby or directly from me. You can download the album on iTunes, Amazon, and Google Play Music. I hope that you’ll check out the review that my new album, Metamorphosis, has received on http://www.jazzcorner.com. Don’t forget that you can listen to Metamorphosis for free on Spotify. If you’re old-fashioned, you can purchase the CD on the CD Baby website or from me. If you buy it directly from me, I’ll sign it for you. Come to think of it, I’m a bit old-fashioned myself! Enjoy! And may you have many blessings! 0 Metamorphosis is on Spotify! This is a quick note to let you know that my Metamorphosis album is now available for listening on Spotify. If you don’t already have a Spotify account, you can sign up online for free. No need for the premium service unless you want it. Just do a search for “Jim Richter Metamorphosis,” and you’ll find me. All my prior releases (Summer’s Gone, Endless War, Cosmic Dust, Tater Chip Man, and Macon) are also on Spotify. P.S. Turns out there’s another Jim Richter on Spotify. He’s the guy who plays blues/rock/folk mandolin. He’s very good. 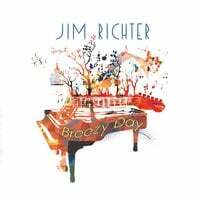 However, I’m the Jim Richter who plays electric guitar and keyboards! I’m very happy to report that my new album is out! It’s entitled Metamorphosis. I think that it’s the best work that I have released thus far. It’s all-instrumental, and I think that it will appeal to a wide range of people. I hope that you enjoy the music! For more than a year, I have been working on my second album. It’s an all-instrumental album entitled “Metamorphosis,” and I think it is the best work I have done yet. As with my prior projects, my producer was Michael Cornett, an extremely talented musician and songwriter in his own right. This time, we had the world-famous Rodney Mills master all the recordings. Rodney has worked with Lynyrd Skynyrd, the Atlanta Rhythm Section, Gregg Allman, the Doobie Brothers, Journey, 38 Special, Pearl Jam, Zac Brown, and numerous other famous artists. Last, but certainly not least, the album artwork was designed by John Crawford, of Photocentric Studios, in Ellijay, Georgia. John does beautiful work, and I think that the design of “Metamorphosis” might be his best work yet! I will post further information as the album release approaches. In the meantime, here’s John’s design for the album poster. I was interviewed by Jacqueline Jax on A.V.A. Live Radio yesterday. If you missed the show when it aired live, you can listen whenever you wish because the show is now available for online listening. My segment begins at about 42:06. I hope that you can catch the show, and I also hope that you’ll support “indie” music!